מסרק הלחיצה מאפשר הגנה מירבית בעת ניסור או עבודה עם רוטר, מפני מכות "חזרה לאחור" (קיקבק) של העץ, שקורות לעיתים קרובות במהלך שימוש ברוטר או במשור סרט, כאשר העץ נתקע בשן אחורית ועף לכיוון החרט, לעיתים קרובות תוך פציעתו. המסרק בולם את העץ, וכך מאפשר התקדמות בטוחה ויציבה בעת הניסור. Featherboards are an excellent accessory for safer routing, spindle moulding, bandsaw or circular saw work. 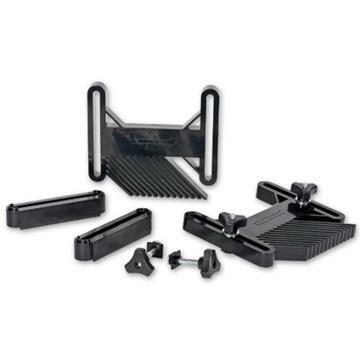 They simply attach to your router or machine table with the supplied T-bolts. The T-bolts come in two lengths, 53mm and 96mm, and for each length a pair are provided for 13.2mm T-track and a pair for standard sized 19mm T-track commonly found machined for mitre fences on the tables of many machines. These featherboards provide vital extra support for the workpiece as it is being passed across the cutter. The amount of applied pressure is sustained over a wide area so you are less likely to experience breakout or chatter on the workpiece. The UJK Technology horizontal featherboards can be used as singles at either side of the cutter or doubled up for extra support when machining a larger section of timber. 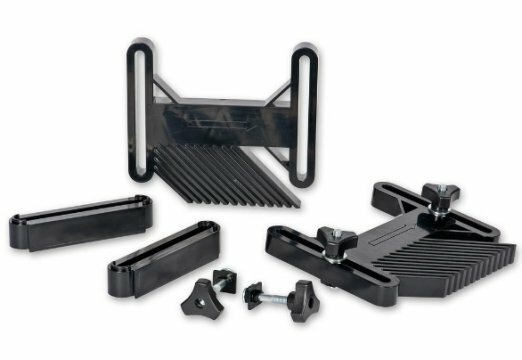 Each featherboard offers 20mm depth of support and when stacked together, using the supplied spacers, the depth increases to 66mm.